Question: If one is on medication for high cholesterol and diabetes (not yet Type 1 or 2 ), can he/she be a donor...? If you are on regular medication, you CANNOT donate because the drug is still in your blood system. Unless you stopped for one week or more. They will give a form for you to answer questions before approval by doctor. Is it possible to have someone to update this page regularly to show the blood donation schedule (say, by the mobile unit) happening around Subang? I think that would be very helpful. 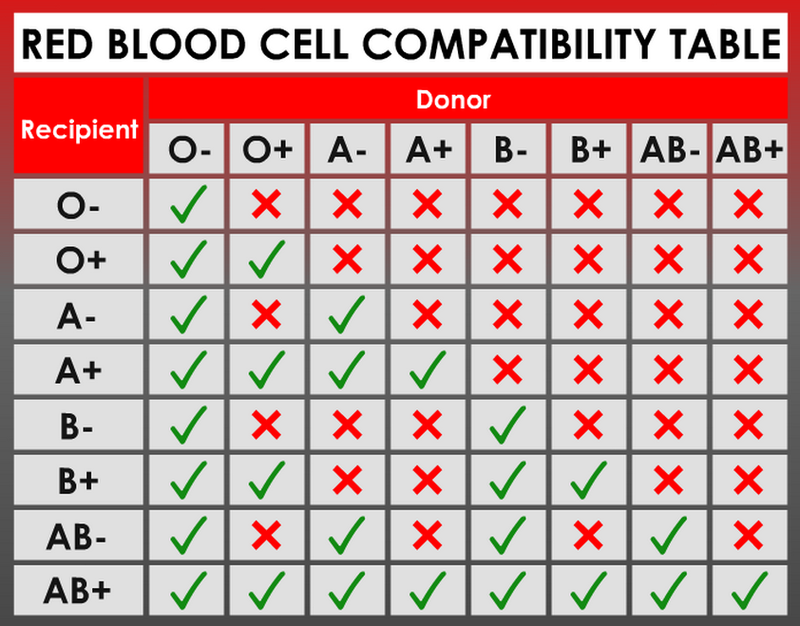 With this table you can now know who you can donate to and receive blood from.